Home » Posts » Attentionology for K-5 Teachers » Hands-on School Day Starters – Get Kids Ready to Focus! hands-on school day starters can help kids get ready to focus. 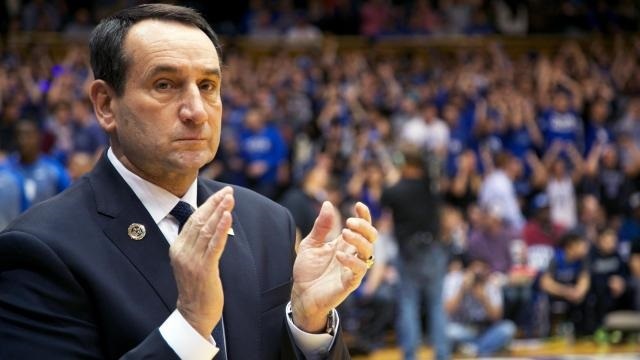 Lead Students in a Clap, Snap, Let’s Get Ready to Learn Cheer – Add a quick class cheer to your morning routine. Tell the class to be on the lookout each morning for your signal to cheer because it won’t come everyday; it will come as a surprise. This in itself teaches focus. Play Wake Up Little Cow! – Play Wake Up Little Cow as a School Day Starter with children in the early grades. NOTE: Any cuddly stuffed animal will work for this strategy; just change the activity name to suit your selection. 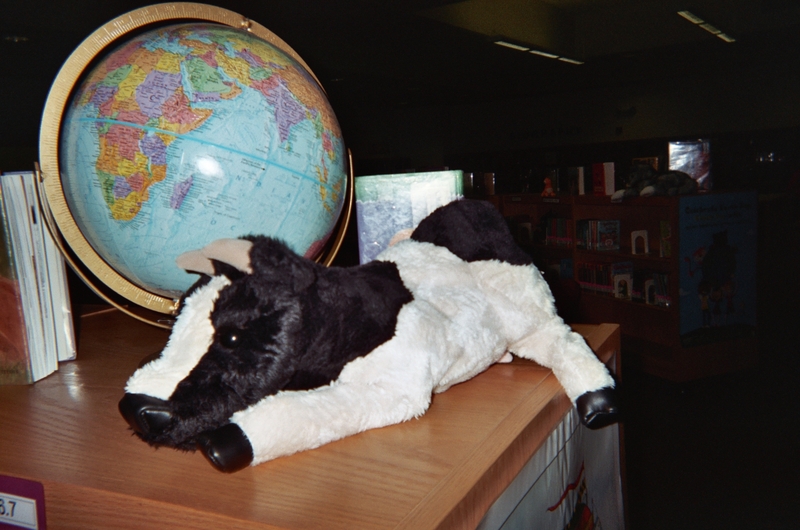 Here’s how to play…Walk over to where you have placed Little Cow in your classroom. Lean over as if you’re talking to the animal and say, “Wake up Little Cow! It’s time to start the school day!” Ask the class to help you get Little Cow ready to focus by repeating what you’ve said to the animal. Then move Little Cow’s head and joyfully announce that Little Cow IS waking up and getting ready to focus! Little kids love this simple, sweet school day starter. And, you can use Little Cow to promote good behavior, good spelling, good…whatever you choose her functions to be by having Little Cow “struggle” with tasks and inviting the class to help Little Cow do better. 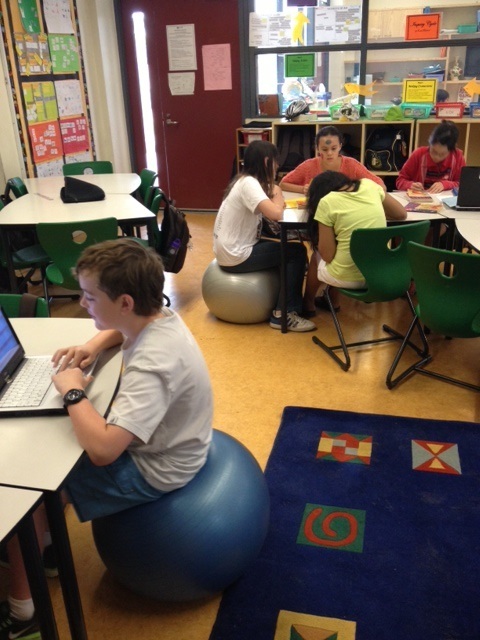 Fifth graders working in groups to write a Students’ Pledge. Lead a Recitation of a Students’ Pledge – Make a poster with the following pledge or one that you and your class write together. USING the Students’ Pledge, rather than JUST POSTING it, helps students learn the words and take them to heart. Harry Ape holds a sign to remind kids to eat a healthy lunch. 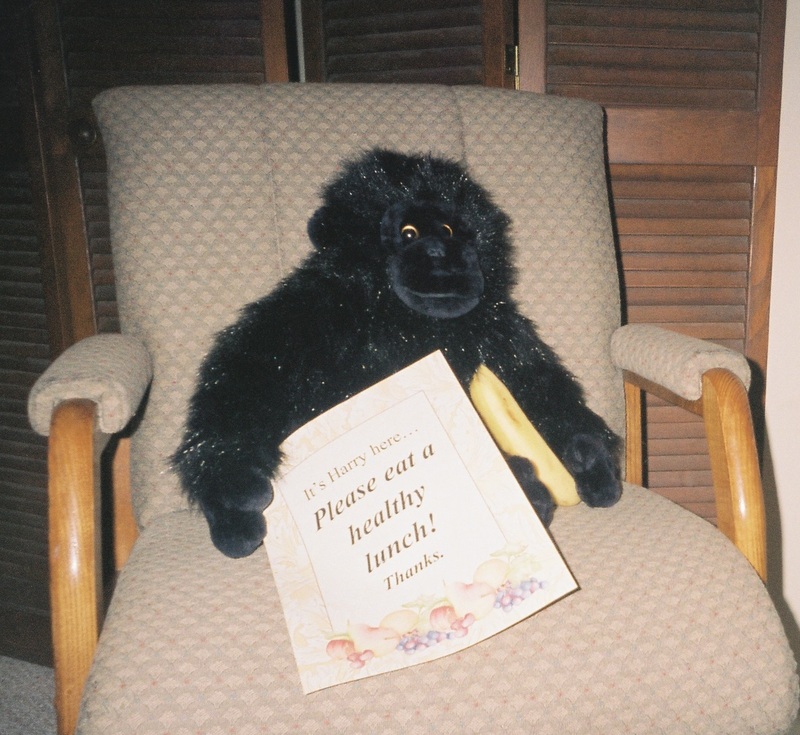 Act surprised to see Harry Ape in your chair and pick up the Please Eat a Healthy Lunch! sign. Show the sign to the class and wonder aloud what Harry Ape eats at lunch to stay healthy. As time permits, ask the class to offer healthy choices. NOTE: The effectiveness of teaching tools, including stuffed toys like Harry Ape, depends on HOW teachers use them. It’s the strategy and the delivery that count. It’s asking two key questions: What is my intent with this tool? How can I use it in age-appropriate ways with my students? Please subscribe to www.attentionology.com and send comments with your ideas about school day starters that catch and keep K – 5 students’ attention.